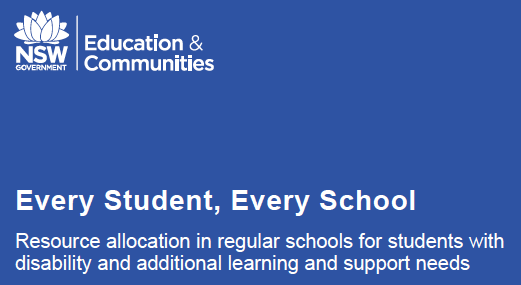 As many of you who read my blog know I have been working hard to help people understand the impact recent changes by the New South Wales Government to disability support funding -ironically named "Every Student Every School"- will have in schools and on children with extra support needs. To this end I have sent copies of the following letter to many NSW politicians, including the Premier and the Minister for Education and their counterparts in the Opposition. My letters have been all but ignored by all. My local Member responded in a one sentence letter by thanking me for making her aware of my concerns!!! 2. so people can see what sort of appeals our politicians are willing to dismiss when they make decisions for the governments financial benefit that impact our children. disabilities who are mainstreamed in public schools. teachers who have helped our children develop a love of learning. some extra assistance in the classroom. This has been in the form of a Teachers Aide. new system and language to get the help they need. The comments I hear from teachers weekly are that they need more support and training. daughter to attend. In fact, I have already started this process. Government shortly, our school is losing $40,000 of "learning and support funding". staff who will be doing everything in their power to support her. • learning needs of students as determined through literacy and numeracy data"
and seems somewhat shortsighted to me. something relatively easy to manage to somewhat of a financial liability for the new school. the school can't give due to lack of finances. what is going to happen in our little school that is actually worse off on paper? will cover the cost of supporting the kids. “that educational experiences for people in this group are characterised by social isolation, failure to meet learning support needs, harassment and bullying which results in years of struggle with ongoing mental health issues”. “Being able to access disability funding is the key that will provide the opportunities this group of people require to reach their full potential and be healthy, socially connected citizens who are employed and actively contributing in their communities”. statistical averages and make decisions based on numbers. Our children are not numbers. for her school to give the support she needs to succeed both academically and socially. Autistic children who are attending mainstream schools often are very intelligent. It's been an encouraging week for me in the area of "Activism". My local paper should be publishing a story based on a letter I wrote them about the NSW Governments "Every Student Every School" funding changes, and I've been in touch with some people who are just as fired up as I am, and there are some good things happening! I'm now happily a member of a newly formed group called "Families Against Disability Discrimination (FAMADD)". I'd like to share with you some information and an event organised by FAMADD, this coming Sunday. I'll be doing my utmost to be there, despite the short notice!! I hope to meet some of you there too. The O’Farrell Government has cut funding to support students with disabilities in 272 schools across NSW. Here is the list of schools affected - http://supportourkids.wordpress.com/affected-schools/. These cuts take effect from the start of Term 3 – that’s next Monday July 16! Hundreds and hundreds of students in primary and high schools will be affected, leaving them without the classroom support from learning support officers (also known as 'teachers aides'). Our learning support officers are losing their jobs or losing hours of work. Parents fear that the result is that students will learn less, will be subject to greater isolation and bullying and ultimately be at greater risk of alienation at school and as young adults in society. So we need you, your families, friends and neighbours this Sunday! Come to a Rally & Press conference!! The NSW Government has changed how disability support is funded so that it is based on a formula that combines the school’s NAPLAN results, general prevalence of autism in the local community and school enrolment figures. But a student’s individual needs will not be taken into account and this is unfair. It could also be discriminatory - the Disability Standards in education in the Disability Discrimination Act, require “schools to treat students with disabilities on the same basis as students without disability”. How will students with disabilities be treated on the same basis if they don’t have the support to participate in the classroom?! 1. Immediate reinstatement of the lost funding to the 272 schools (but not at the expense of the schools that have benefitted from recent additional funding). 2. 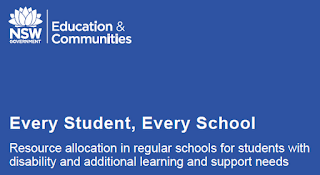 A revised funding formula that does not disadvantage any student with a disability and guarantees that now and in the future, every student will receive the amount of funding that is required to meet their needs. 3. An increase in the number of permanent Learning Support Officers to retain experience. 4. A register of Long Term Temporary Learning Support Officers to enable schools to source experienced Learning Support Officers. This rally and press conference is being organised by the Public Service Association (PSA) representing learning support officers, along with Families Against Disability Discrimination (FAMADD), a group of concerned parents and supporters. your recent tweet of "Yeah just saw your picture fool you look autistic" in response to a person who was rude to you makes me want to ask you a question. 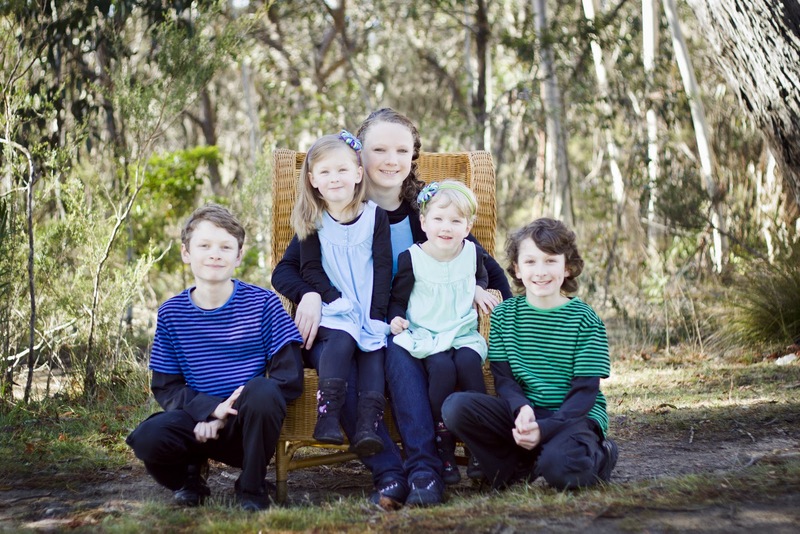 Which of my children looks Autistic to you? I'll give you a hint- you can choose two of them. Yep, that's right. Two of my five children are Autistic. And since you know what Autistic looks like, I'll bet you can tell which ones, right? Oh, and in response to the comment you made about not wanting special ed kids on your timeline..... I thought you should know that neither of my Autistic kids are in "special ed" classes. 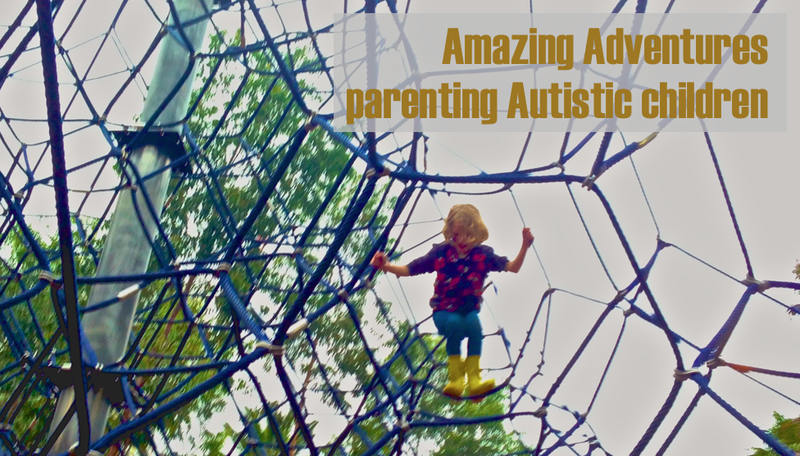 They do need a bit of extra support socially and for sensory issues, but they are both bright kids who are progressing very well academically. Can you see why your comments were so offensive? Just in case you can't, I'll explain. You see, in a society where governments think it's ok to take away the funding that supports our kids in their education, and in which juries acquit parents who are known to have caged their Autistic children, our kids could use the help of celebrities like you. But instead of help you gave them small minded, incorrect, stereotype based criticism. In front of more than 6 million twitter followers. I am glad you have removed the comments. But you know what? All removing them does is make it look like you want the whole situation to go away. I think Autistic people deserve better than that. While your comments are in no way a reflection on them, they are an insult and an offence. Whether you realised it or not when you made them, your comments were hurtful. I teach my children that when they hurt someone they need to apologise in order to restore the trust in the relationship. I'd like to suggest that you should do this too.